Fitbit Comparison 2019 – Which Fitbit Should You Buy? Fitbit is the it-brand that most people think of when they think of fitness trackers. But with their wide range of trackers with different functions and styles, it can be hard to decide which Fitbit will work best for your active lifestyle. We took a close look at all of the features of the different Fitbits available and broke it down so you can pick out the perfect one for tracking all of your exercise, steps, and sleep. The entire Fitbit family of products syncs with the same apps, so everyone in your exercise group or family can compete with each other in challenges and compare stats. Find the perfect Fitbit for anyone below. This chart provides a quick breakdown of each of Fitbit’s current fitness trackers. If you want to read our in-depth Fitbit reviews, you’ll find them below the chart. The Zip is the budget Fitbit. It’s the simplest to use and a great option for anyone looking for a cheap activity tracker or a more basic pedometer type tracker. The LCD display conveniently shows the current day’s step count and also the time. When you reach your step goal for the day it buzzes in congratulation. Sync it to the free Fitbit app and track your daily stats to improve your activity over time. This makes a great gift for older parents who aren’t very tech-savvy but are looking for an easy way to track their activity and steps over time. Since it has the option to sync to a computer, it’s also great for people who don’t use smartphones. If you’d rather wear your fitness tracker on your wrist than on a clip, the Fitbit Flex 2 may be the tracker for you. This comfortable and easy to wear activity tracker sacrifices the LCD display for LED lights that show you your progress toward the day’s step goals. But you still have the Fitbit app to easily track your steps, activity, and sleep on your smartphone or tablet. This is a recent update to the original Fitbit Flex that combines the features users loved about the original with some new functionality. The big difference with the Flex 2 is a brand new ultra-slim tracker design that is fully customizable with a ton of different bands to personalize your Fitbit or match any occasion. This includes bracelets and necklaces that look like fashionable jewelry instead of utilitarian trackers. Track your activity without sacrificing on style. I’m sure you’re wondering, what’s new with the Fitbit Flex 2? Well, the big thing is: this activity tracker is now waterproof–or as they call it “swimproof.” You can finally wear your Fitbit in the shower or while swimming in the ocean or pool without destroying your tracker. I have a feeling this one is going to become very popular with swimmers. It also features SmartTrack, which automatically recognizes certain activities (including swimming) and tracks your workout for you automatically. There’s also smartphone notifications in addition to the silent alarms. All these features come without sacrificing the battery life of the original model. Buy the Flex if: you prefer a wristband tracker, you like tracking your activity on your smartphone, you like to customize with different band styles, you want a waterproof fitness tracker, you swim as a form of exercise. The Fitbit Alta Fitness Tracker takes the activity bands to the next level. Utilizing a similar OLED display as the Charge, and features like step count and auto sleep monitoring, the Alta adds a few new features that are worth the upgrade. The first big feature is SmartTrack, which automatically recognizes what exercise you’re doing whether it’s running or cardio. Alta also has move reminders, giving you a gentle buzz when you’ve been sitting too long so you can take a quick walk. Also in addition to call alerts, you can also receive text messages and calendar alerts directly on your Alta band. Alta comes with its own range of accessory bands as well, so you can customize your look and switch up your style whenever you feel like it. This year Fitbit has updated their popular Alta model to include wrist based heart rate tracking. It comes with all the features you love, but the PurePulse Heart Rate Monitoring gives you more accurate workout tracking and insights into your cardiovascular health. The heart rate tracking also gives you Sleep Stages tracking, which shows the time spent in light, deep, and REM sleep to give you unparalleled sleep quality tacking. This tracker has a display, allowing you to check in real time your heart rate, steps, and other stats, as well as see the time. The automatic exercise recognition will make sure you get credit for all of your workouts without any additional work for you. Plus, it’s already tracking your steps, distance, and active minutes so it can keep you moving throughout the day. If you want to stay connected but aren’t interested in an expensive smartwatch, the Alta HR will provide you with text, call, and calendar alerts. 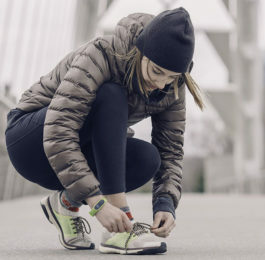 With hundreds of interchangeable bands to choose from, you can make your Fitbit Alta HR match any outfit, so you can track at the gym, the office, or even when you’re out on the town. Fitbit took the best features of their Charge and Charge HR bands and combined them together this year to make their Charge 2 fitness band. The big selling feature with the Charge 2 is the PurePulse continuous heart rate monitoring. It tracks your heart rate throughout the day to track your calories burned and also to give you a Cardio Fitness Score to help you improve your fitness level over time. Your exercise tracker will also notice when your heart rate is elevated due to stress and lead you through a guided breathing exercise to help calm your mind and body. That heart rate monitoring combined with multi-sport modes make it perfect for people who lead active lifestyles and like to vary up their workout routine. The Charge 2 tracks running, biking, and weights and SmartTrack automatically recognizes the activity and records the workout for you. The OLED tap display makes it easy to see real-time stats while you’re exercising and get your workout results without syncing to your smartphone. If GPS tracking is important to your running or cycling, you can sync up the Charge 2 with your phone to get real-time stats like pace and distance on the band display, while a map is recorded of your route. In addition to all those fabulous features, the Fitbit Charge 2 features many of the features longtime Fitbit users love like move reminders, smartphone notifications, wireless syncing to smartphones or computers, and interchangeable bands. 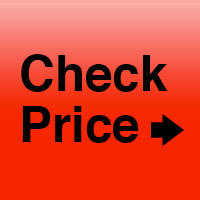 This model is a great replacement for the previous Charge offerings. 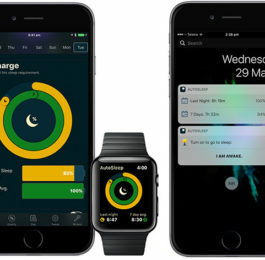 Notable features: interchangeable bands, PurePulse wrist-based heart rate, Cardio Fitness Score, silent alarms & auto sleep tracking, 5 day battery life, multi-sport modes, move reminders, SmartTrack auto activity tracking, OLED Tap Display with on-screen stats, guided breathing prompts based on heart rate, smartphone notifications. Apple needs to watch out, because Fitbit is coming for their smartwatch crown. Fitbit’s Ionic Smartwatch is a serious competitor to other high-end smartwatches for sports enthusiasts and fitness minded users. They’ve pack in a ton of features everyone will love. Let’s start with the ways the Ionic will help you stay fit and active. Fitbit coach gives you dynamic personal workouts to keep you motivated at the gym or at home. This is an all around health tracker. It includes all of the features you expect in an activity tracker, like step counting, setting goals, and workout tracking. In addition, it has continuous heart rate monitoring to give you real time info as well as more accurate sleep data. The built in Fitbit Coach is perfect to guide you through a personalized workout to meet your fitness goals. 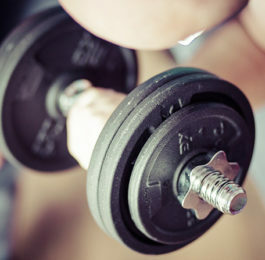 This is great for fitness enthusiasts who like to work out in many different ways. The built in GPS is perfect for runners and cyclists to keep track of distance and pace. As far as other cool features go, the Ionic offers music storage of up to 300 songs so you always have your favorite music ready to motivate you through your workout. This smartwatch is also packed with apps and can pair with your smartphone for smart notifications on your wrist. Another big feature is Fitbit Pay, which lets you pay with just the tap of your wrist at any store that accepts contactless payments. If you’re trying to decide between the Apple Watch and the Ionic, here’s the big points to consider. Ionic has a better battery life (4 days vs 18 hours) and offers sleep tracking. The Apple Watch, however, is a good choice if you already use a lot of Apple products and have an iPhone. The Series 3 Apple Watch is also available with a stand-alone SIM card, so it can be used to make calls and send texts without a phone nearby. It’s no surprise that Fitbit has released another smartwatch to compete with the others on the market. They’ve taken some cues from Apple’s designs making a lighter, sleeker smartwatch centered around fitness and health tracking with interchangeable bands and customizable displays. And the feature you may be most excited about: it’s swimproof! That’s right, if you’re a swimmer you can use your Versa smartwatch in and out of the pool. With the touchscreen you can track all your stats on your wrist, plus you still have access to the Fitbit smartphone app for all the indepth tracking and stats you need. The Versa also provides personal coaching to keep you moving and help you meet daily goals. Since fitness is our main focus here, let’s talk about the features that make the Versa unique from the rest of the Fitbit line-up. With over 15 built in exercise modes, the Versa can give you real-time stats for activities like swimming and running. If you need inspiration, you can follow the dynamic on-screen workouts which coach you through every move. If you’re a runner or a cyclist, the Versa can sync with GPS from your phone to provide you pace and distance stats. If meditation and relieving stress is important to you, the Versa has guided breathing sessions, which uses your heart rate to give you personalized instructions. For women, it has built in health tracking so you can track your cycle and even get reminders before your period starts. What about the fun features you want a smartwatch to have? Music is one of the most important parts of my workouts and I love that you can store 300 songs directly on the Versa and play them with Bluetooth headphones. Fitbit has also brought features like call, calendar, text, and app alerts to your wrist. Plus, it features Fitbit Pay on their special editions so you can pay with your watch. With a four day battery life, it has many other smartwatches beat. The Versa is a fantastic smartwatch and is really giving the Apple Watch some competition. Now your kids can get in on the fun with this fitness tracker designed especially for children over the age of 8. If you’re having a hard time motivating your kid to put down their smartphone and exercise, the Ace can be a great motivator for them. Fitbit has designed Ace to motivate kids to reach the 60 minutes of daily activity recommended by the CDC, using 24 hour activity tracking to push them to earn daily goals and virtual badges. They can monitor their progress on the easy to read display and also get move reminders to get up and go each hour. The Fitbit Ace is great to inspire competition between siblings or friends. They can compete with each other on step challenges and win virtual trophies. They can also send messages and cheers to other family members to motivate each other. For parents, the new Fitbit Family accounts allow you to check in with your kid’s progress at any time. And your child can also use the app to check their stats and the badges they’ve earned. This band can be synced with the parent’s smartphone or the child’s. If you are worried about your kid getting enough sleep, this fitness band also tracks sleep length and quality. Plus the Ace is showerproof so you don’t have to worry about your kid wearing it all day and all night. The Fitbit Ace packs in all the features older kids need to stay active and fit. One thing to note: many parents have found the included band is a bit small for kids older than 8 years old. Luckily, the Fitbit Ace is compatible with third-party bands, so you can easily get a larger band with your child outgrows the included one. Looking to get a Fitbit to help you lose or maintain your weight? You should check out the Fitbit Aria 2 WiFi Smart Scale. It automatically and accurately tracks your weight, body fat percentage, and body mass index and syncs with your Fitbit account.